This is a Lithium Ion and Lithium Polymer battery charger based on the MCP73833. It uses a USB mini-B for connection to any computer or 'USB wall adapter'. Charging is performed in three stages: first a preconditioning charge, then a constant-current fast charge and finally a constant-voltage trickle charge to keep the battery topped-up. The fast-charge current is 500mA by default, but is easily adjustable from 100mA up to 1000mA by soldering a through-hole resistor on-board. 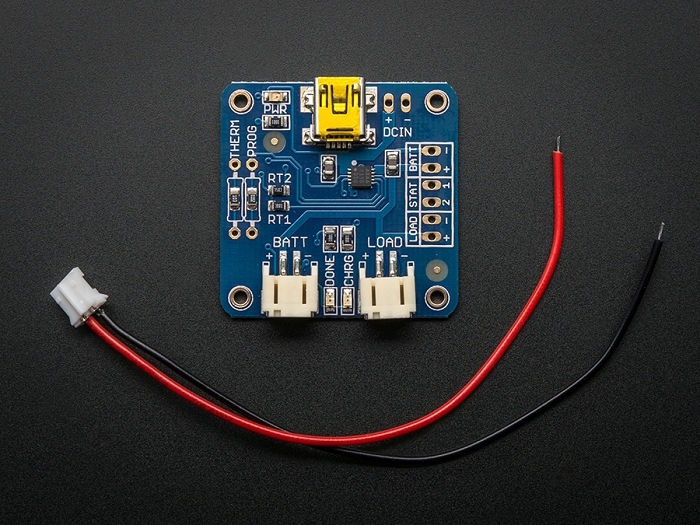 This board is great for DIY projects because it has 3 indicator LEDs - one for power, one for charging status and a third that indicates when charging is complete. 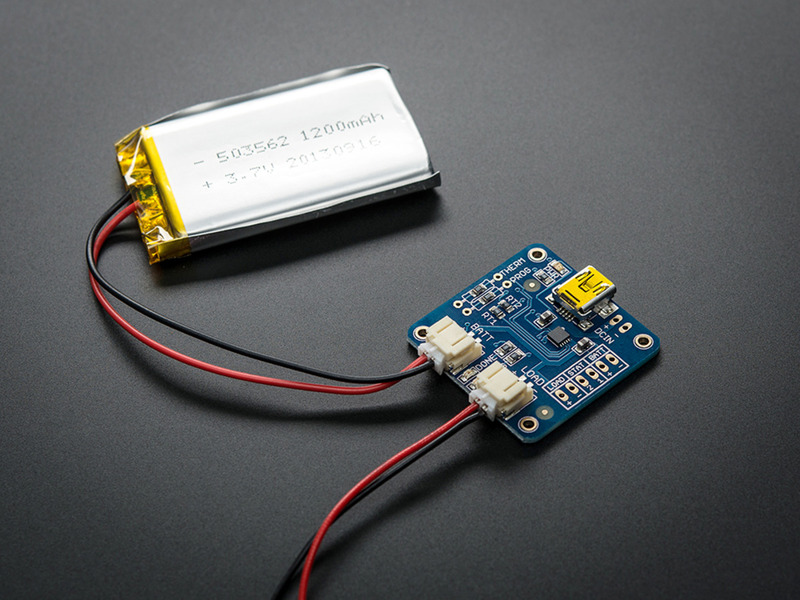 Keep the battery connected to the charger and pass power through the additional JST connector using the included cable! 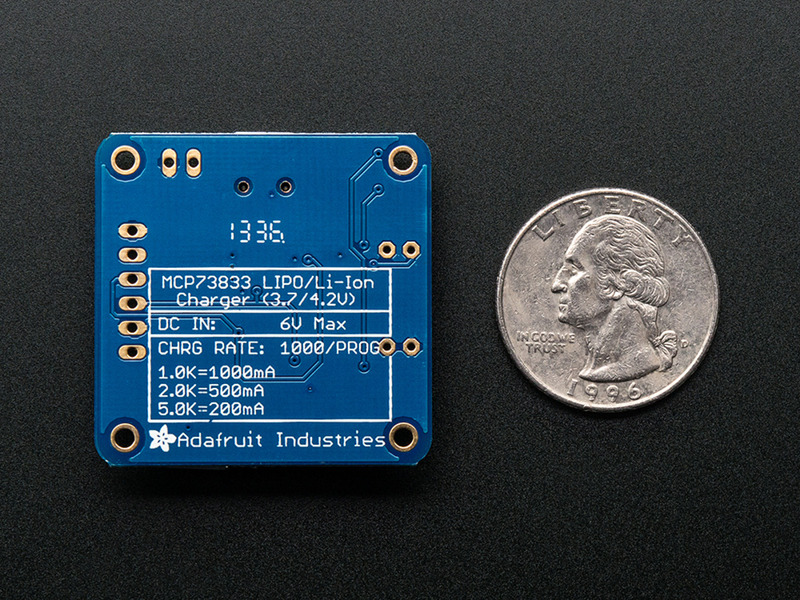 Best used with Adafruit Lipoly batteries only, which you can find in our Battery Selection! Other batteries may have different voltage, chemistry, polarity or pinout.